Planting a koi pond is a challenge that offers great rewards. Not only will the flowers and foliage of the koi pond plants look attractive, but diverse plant life will help to achieve a healthy balance of nature as insects, frogs and the koi fish flourish together alongside the vegetation. You may find some plants together with your normal fish pond supplies, otherwise, you will need to visit your local nursery and see what they have to offer in the way of suitable plants. 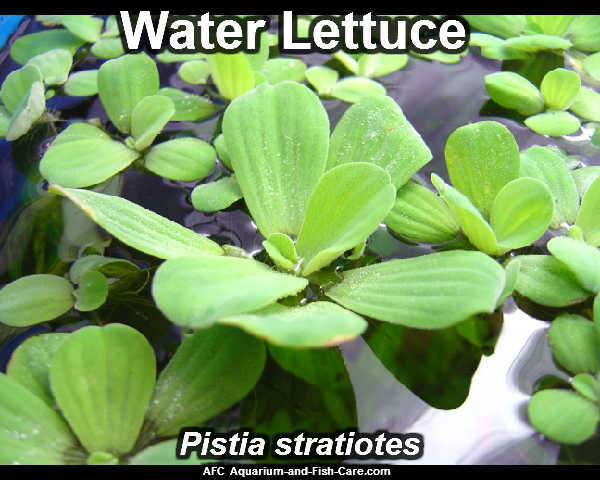 Unfortunately, many water plant species are invasive in hot climates and they are therefore considered to be invaders. So check with your local forestry or water authorities and try, wherever possible to plant whatever is indigenous to your own region. Typical marsh-loving plants thrive on moisture and they will do particularly well on the banks of an informal koi pond. Some examples include ferns, irises and lilies. See what you can find. Marginal plants normally grow in shallow water, so they do well in the shallows of a pond, or on shelves that have been created for planting. Water-loving grasses, reeds, rushes and various sedges will all establish themselves quite easily within a koi pond, but you need to be sure they won't take over the entire area. There is a huge choice, so be selective. There are also many leafy marginal plants, some of which will flower. These include plants like water mint, water forget-me-nots, monkey flowers, water poppies, aquatic irises and many other species. Deep-water aquatics live with their roots submerged in the water while their leaves and flowers soar heavenward. Like floating plants, they help to keep the water cool and clear by minimizing the amount of sunlight that gets to the water, thus preventing algae from flourishing. There are quite a few aquatic plants including the yellow fringed water lily, the impressive Japanese lotus plant and of course, the good, old faithful water lily. Water lilies are undoubtedly one of the most beautiful aquatic plants, many of which grow on the base of the pond or in natural crevices or containers below the surface of the water, sprouting leaves and flowers above the surface. Here you just need to be aware that koi often eat from the base of the pond and so might nibble away at the roots of lilies, in which case the lilies may not survive. Floating plants do have roots, but these don't need soil or silt to feed them or anchor them. Sadly some of the prettiest floating water plants are banned in the US, including water lettuce and water hyacinth with its beautiful, pale lavender flowers. Just keep reminding yourself what a nuisance these plants have become. Oxygenators are the plants that help to maintain the balance of nature within the water itself. They are submerged beneath the surface of the water and not only provide food for koi, but also give them a really good place to spawn. Fish ponds, including koi ponds, come awake in the spring after a winter of semi-dormancy. As soon as the temperature rises above 10C (50F), your fish become more lively and your plants will begin growing again. This means that it is a great opportunity to do some upkeep - a spring clean - because you will not shock or stress your dormant fish. If you attempt it any earlier, you will upset your fish in their slumber and any later and you may disturb breeding. You ought to take out any leaves that have fallen into the pond and dredge for some of the algae. Then clean your pond filter and turn your filtration system back on, if you turned it off for the winter. Test the water for any chemical discrepancies and treat any issues. 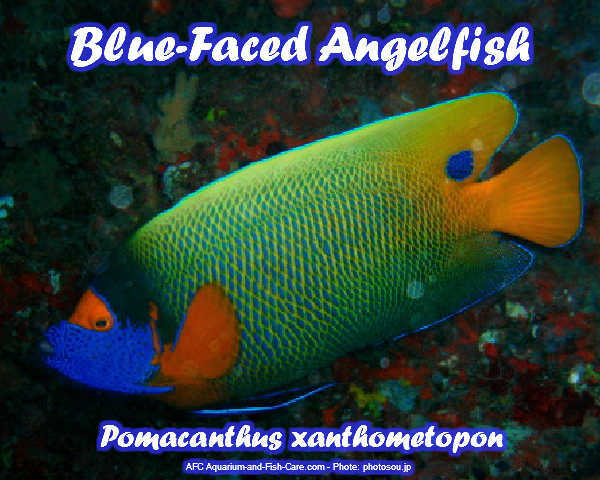 You should also add a broad spectrum medication for common fish ailments. Depending on the medication you use, you may have to replicate this procedure a week later or when the temperature rises above a certain degree. This is when your pond is in full swing. Your aquatic plants will be flourishing as will the algae. You must keep the algae under control, which means dredging, netting and scraping. You will have to clean your pond filter more often as well. Check it daily and keep it working at full power. The cleaner you can keep your koi pond now, the less work you will have to do afterward. Oxygenation of the water is a major concern in the summer because warm water is able to hold less oxygen than cold water. Therefore, you will need to keep your fountain working and your bubbler bubbling, if you have one. If you do not have one, think about getting one. You fish and the blooming algae will be competing for the oxygen in the pond water. You can tell if the water is short of oxygen because the fish will be gulping air at the surface. The warm water will not only stimulate your fish and your plants, but it will also bring parasites to life, so keep a keen eye on your fish' health and treat anything dubious immediately. Be on the lookout for fish rubbing against the sides or each other - scratching themselves, in other words. Feed frequently. Your fish will have eaten very little in the winter and now they have to replenish their fat for breeding and next winter. Autumn is variable, but the first half may be like the summer and the second half more like winter. Continue to feed well. As the trees start to lose their leaves, you must eliminate them from your pond water. Drag the leaves off at least once a day or sling a net over the pond and skim for leaves weekly. If you have any pond plants that will not survive the winter, either take them indoors or throw them away; you do not want them rotting in your pond. Life in your pond will slow down as winter progresses. You ought to feed less often, maybe only once a day until it gets to 10C (50F) and then discontinue feeding - your fish will be in semi-hibernation at this point. Remove your filtration pumps and your fountain and switch all electrical equipment off. Put a pond heater in the water. This is a floating apparatus that keeps a small surface area from freezing. If you allow all your pond to freeze over gases will build up, oxygen will disappear and your fish will die. Summer is considered one of the best and more vibrant times for your Koi pond. Temperatures are beautiful, and you are more able to enjoy your pond then during the cold Winter months. However, by no means, should your maintenance drop during the summer months. Remembering a few things during the summer months will ensure that your pond stays beautiful and lively. During the summer months, the oxygen level in your pond actually decreases. Proper precautions should be taken, especially if you live in an area where temperatures stay high for the majority of the year. If you witness your Koi hanging out towards the top of the water, and they seem to be gasping for air, this may be a good indication that your pond does not have a high enough concentration of Oxygen. One way to keep oxygen moving in your water is by installing water features such as waterfalls and fountains. The more the water is moving, the more Oxygen is available to your Koi. If water features are not available, frequent water changes will give your fish the amount of Oxygen they need to survive. Higher heat will cause your water to evaporate at a much higher rate. Pay close attention to your water levels and do adjustments as necessary. Remember, you must remove all chlorine from the water you add. Not unlike other situations in life, heat brings on potential parasites and illness. The majority of parasites are not seeable by the naked eye, so instead, you must watch your Koi for signs of illness. You may notice strange behaviors in your fish such as rubbing against objects, scratching, shaking, or shivering. Each symptom could indicate a different type of illness, so it is important to watch closely. It is especially important to pay attention to your Koi if they start developing noticeable spots or changes on their body. They may also knock fins off. If any type of change is noticed, contact your local vet, pet store, or Koi dealer as soon as possible. While some parasites will cause little damage, some illnesses such as KHV or Koi Herpes Virus have a high mortality rate and should be treated as soon as possible. To remain healthy during the summer, your fish will need food high in the types of nutrients that they need. During the summer you should feed your fish food that is low in protein at least one to three times a day. If your fish still seem hungry after feeding, you may want to increase feeding slightly. Feeding your Koi small amounts of food at a time will prevent food from spoiling. If you feed in larger amounts, some food may remain uneaten, and it can spoil in a very short amount of time. Fish will only eat what they need to survive and will leave the rest. Spoiled food can cause water quality issues if close attention is not paid. Feeding your Koi actually causes less Oxygen content in the water. During the summer this can especially be an issue, as Oxygen levels deplete in high temperatures. You can remedy this by feeding your fish in the cooler hours of the day. Summer presents a special time to hand feed your Koi. Children are out of school, and the weather is usually perfect for being outside. Get the kids involved as they will remember it for years to come. The National Aquarium is the public aquarium which was founded in the year 1981. The National Aquarium is located in the Inner Harbor of Baltimore. The aquarium receives around 1.6 million people every year. The aquarium has a collection of 16,500 specimens of over 600 different species. This is the most popular tourist attractions in Baltimore. This is one of the biggest aquariums located in the United States. The Aquarium is crowded on the weekends and holidays. The aquarium provides a dolphin show which is a favorite event for the children as well as the adults. The other popular event in Aquarium is the 4-D immersion theater. You can get the aquarium tickets with or without the two shows. Prior planning is required for visiting the National Aquarium. The aquarium offers several shows and events and hence the aquarium is always busy. Reserve your tickets during weekends and holidays. There are animals from different spices such as Australian animals, Amphibians, birds, fish, invertebrates, mammals and reptiles. The animals in the aquarium are unique and children enjoy watching the animals. The exhibits of the aquarium began with small local animals but later the visitors are surprised with sharks, rays, and very large creatures. The hours and price for the shows get vary according to the weather and season. With the popularity of aquarium keeping hobby on the rise, came about newer technology developments that offers utmost convenience to the many aquarists worldwide. Such equipments and supplies are constantly invented and re-invented to help aquarium keepers take advantage of the most effective fish keeping practices possible and help maintain their fishes in the best condition. With the discovery of the most basic filtration systems, pumps, and aeration systems, aquarists have discovered the great difference brought about by these technologies. Greater appreciation was felt when the market made available the use of more upgraded filters, UV sterilizers, automatic fish food dispensers, water testing kits, water pH analyzers, flow meters, aquarium heaters, wave makers and a few more brilliant ideas that do make life easier for aquarium owners. Of the many innovations in the fish keeping and aquarium maintenance tools, the fish tank gravel washer proves to be one of those that offers many advantages. An amazing tool that makes gravel cleaning very convenient, efficient, and gets things done in half the time you usually spend when doing it manually. Its mechanism works by removing dirt from the gravel while simultaneously performing water change without disturbing the gravel and tank decorations, sparing you from having to remove your tank's contents every water change. Not only it greatly helps keep your tank clean, it also saves you a lot of back-breaking work and time. Another impressive innovation that is found very useful in tank maintenance is the fish tank sand filter. Unlike traditional filters commonly used in many tanks, this one utilizes sand as medium for bacteria settlement. 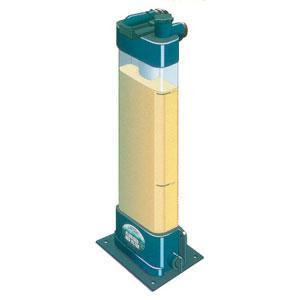 The sand, which contains some good bacteria, is a vital part of the filter itself, breaking down harmful chemicals particularly ammonia and nitrite which are known bi-products of fish waste and food debris. The beneficial bacteria is said to convert these toxics to something more harmless called the nitrate. This mechanism is also found to greatly help maintain water clarity as well as improve the water quality. Both useful equipments, the sand filter and gravel washer, could now be easily found in many local aquatic supply stores and many online places specializing in aquarium maintenance equipments. Each may come in many brands, and prices may vary according to its sophistication. Larger tanks would naturally need larger filters or greater washer capacity. Surely there would be newer tools that would offer the same benefits for your tank, your tank water and most especially to your fishes, such discoveries and innovations would always be welcomed by aquarists. The fish tank gravel washer and fish tank sand filter are indeed remarkable tools. How they could keep your tank clean and your fishes healthy makes them excellent additions to your aquarium.